They say that beauty is pain, and if we have to admit it, sometimes it is. Between waxing, tanning, tattooing and acne, we go through a lot of maintenance that isn’t exactly pleasant. Waxing and shaving can leave unsightly irritation that won’t go away for days and whether it’s on our calves or bikini line, it’s all rather embarrassing. Tanning is something we all love to do, to get that natural glow, but sometimes we end up with painful burns, and our skin aches and peels. We all know we’re not supposed to pick our blemishes, but most of us do, leaving behind small welts that can take weeks to dry up and even scar. And, if you’ve ever had a tattoo, you know how painful it is and how long it takes for the skin to heal. Luckily, with all the struggles that come with our beauty regimen, there are beauty products there, to help us ease that pain. When it comes to protecting our skin, you should only use the best products, and that’s why we use Zensa Skincare. 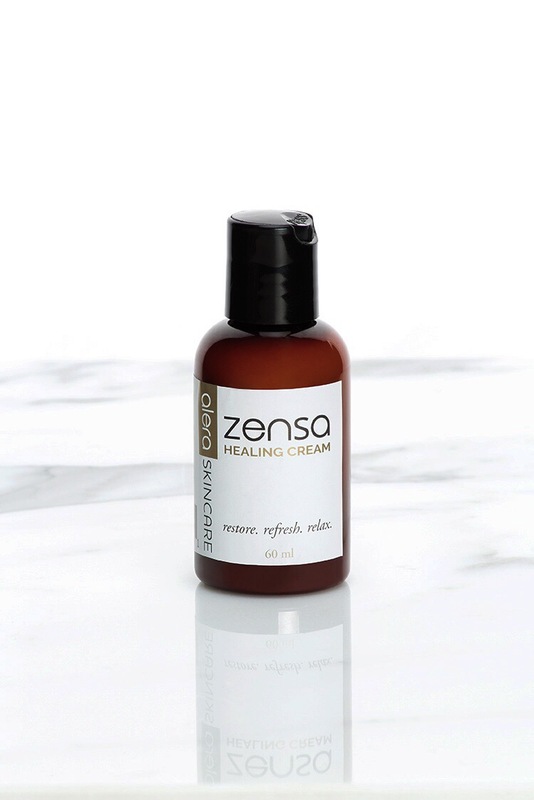 Zensa has an amazing Zensa Healing Cream that not only calms the skin, but smells great too! It has a lovely citrus scent that will awaken your senses when you slather it on in the morning, and you’ll have no need for extra fragrance with this cream; it will leave you smelling fresh all day. It helps relieve any skin irritations or inflammations with calming Grapefruit Extract and Calendula, traditionally used in herbal medicine for wound healing. This cream is most effective when used following a laser hair removal treatment or tattooing, to heal and protect the skin. It can also be used as a daily moisturizer to provide hydration and protect against premature aging. Our experts at MyTopFace have tried it and it makes the skin soft and supple. The consistency is very light and just a small dab goes a long way. Use the Zensa Healing Cream to restore and refresh. If you have a bit more beauty maintenance to deal with, you might want to try Zensa’s Zensa Topical Anaesthetic. This product contains 5 percent Lidocaine, so it will numb the irritated skin area, and you won’t have to be in pain. Use it to numb skin prior to any painful procedures, such as tattooing, laser hair removal or even waxing. It calms any itching, burning or stinging of the skin and contains Vitamin E, an antioxidant that helps the skin heal more rapidly. The good thing about this cream is that, even though it numbs the skin, it does not constrict blood flow, so if you’re using it prior to getting inked, it won’t tamper with the design of your tattoo. Use it to desensitize , heal and relax. Beauty is pain, but Zensa is here to help. These two Zensa creams can be used alone or as a team, to combat skin irritation and pain. At MyTopFace our experts know it’s important to keep your skin hydrated and free of any inflammation to maintain its radiance. We want you to look and feel your best, and these products can help you do both. And a bonus, they leave you smelling fresh and rejuvenated. Zensa Skincare is known for its pharmaceutical skincare and uses the power of natural aromatherapy ingredients to soothe your skin and bring your confidence back. Whether you have acne, eczema, razor burn, sunburn or pain from a procedure, we believe the Zensa creams will aid in relieving your discomfort.